Each year a new illustrated prayer guide booklet is published in a number of languages and locations around the world (see the list on our international site). The booklet contains daily readings that focus on various topics, people groups and geographical areas of the Islamic world; each day’s subject focus is followed by prayer points. It also features informative background articles and resources for involvement. NEW: We now offer a Spanish Edition as well! Every Christian today should know about Islam. Every church should be asking how God might have them pray for Muslims around the world. 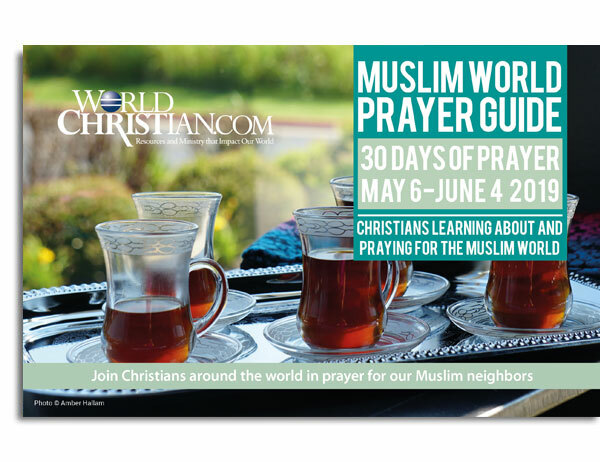 There is no better resource available to accomplish this than the 30 Days of Prayer for the Muslim World. By joining this movement, you will be joining the Holy Spirit’s work in drawing Muslims to Christ.